I’m calling these muffins “Double” lemon because that’s what they are. 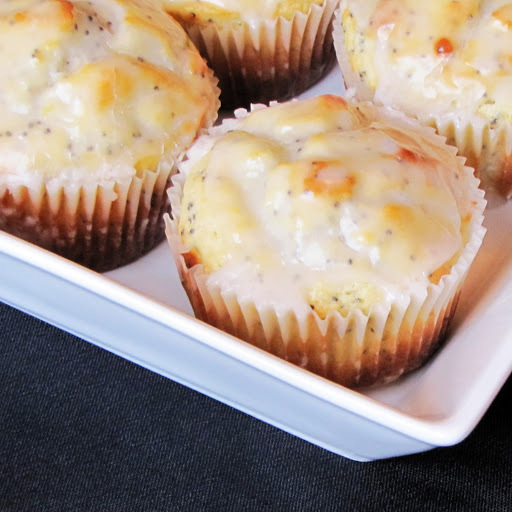 This moist delicious muffin is full of lemony flavor, but it is also topped with a delicious lemony glaze. When I make a cake, I will often use cake mix. It’s really just the dry ingredients of a cake all measured out for you. But I never compromise on boxed mixes of muffins. In fact, I can’t remember the last time I bought a box of muffin mix because the quality is just not the same. 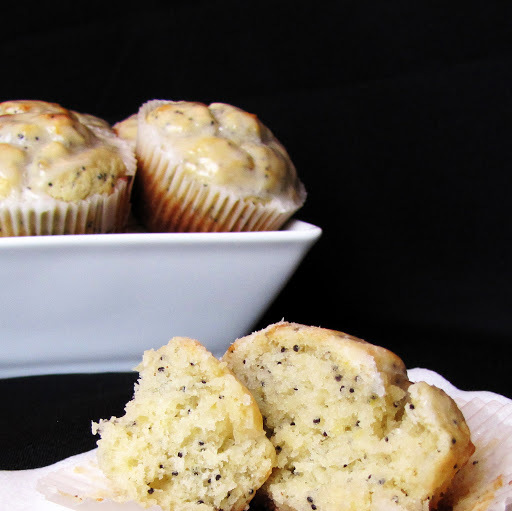 Homemade muffins are so much richer and fresher and full of so much more flavor. In a microwave safe bowl, melt your butter. Mix it with the sugar. Add lemon juice, sour cream, vanilla, lemon zest and mix well. Add all dry ingredients and mix until just combined. Do not overmix. Scoop the batter into a cupcake pan lined with liners. Fill each one about 3/4 full. I use an ice cream scoop for this, so they all get the same amount. Mix your glaze ingredients together. If it’s too thin, add some more powdered sugar. Spread over slightly warm muffins and enjoy! So glad they turned out well for you. Thanks for visiting! So glad you found me, and thank you for the comment and for visiting! Glad you liked the muffins! great recipe, but you make it hard to copy it when you insert pictures between the instructions. Does this just make a dozen muffins? Sherry P.-There is a "print friendly" button at the bottom of the blog post. Click it, and it will take you to an easier to copy version of the recipe. Sister- Hello from America! So glad you liked these, thanks for the comment and for visiting. My husband thinks the glaze tastes like soap. I wouldn't go that far… but I wasn't real keen on it either. Great muffins though! For some reason I had to bake them for over half an hour before they were done…at 18 minutes they were still raw in the middle. Did anyone else have that problem? Jess, I did not have that problem, but everybody’s oven is different. Hope they turned out for you, even after the long bake. Thanks for visiting! What did I do wrong? Mine didn’t rise at all, took over 20 minutes to cook, but were too brown on the bottom and barely cooked in the middle. So sad! I want to try again. Thoughts? Andrea- Could you have left out the baking soda or baking powder? I once made and baked an entire pumpkin pie, and then tasted it and I had left out the sugar! I can’t think of any other reason why they wouldn’t rise. As for the browning on the bottom, your oven rack should be directly in the center of the oven. If it was in the center, when you try again, raise it up one notch. Hope that helps, and thanks for the comment and for visiting. Aha! The baking powder was very expired! Made the muffins again with fresh baking powder and they were fluffy and lemony and perfect! Thanks! Yay! So glad you figured it out and enjoyed these muffins! Thanks for letting me know~! These turned a crappy morning into a wonderful one! The muffins turned out perfectly, and your baking tips about not overmixing the dry ingredients was very informative. 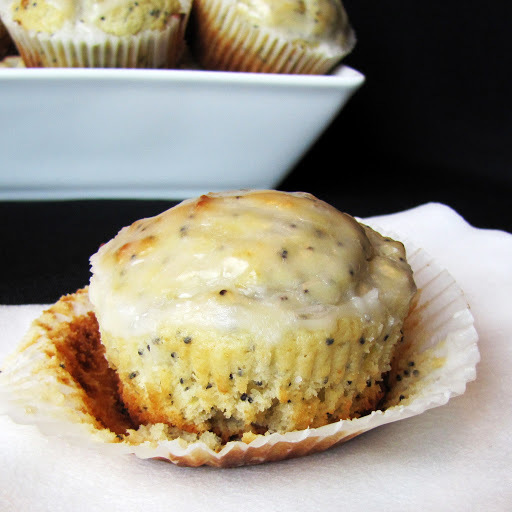 First and last lemon poppyseed muffin recipe I’ll ever need! 😀 THANKS! So very glad you liked these. Thanks for visiting!